Oil prices fell on Monday as concerns over slowing economic growth dragged on markets, Reuters reported. Brent crude futures, which act as a benchmark for international oil prices, were at $71.60 per barrel at 0531 GMT, down 23 cents, or 0.3 percent, from their last close. U.S. West Texas Intermediate (WTI) crude futures were down 22 cents, or 0.3 percent, at $65.69 per barrel. Shanghai crude futures for December delivery, China’s most actively traded contract, fell 3.4 percent to 488.2 yuan ($71.02) per barrel. “Hedge funds have cut bullish bets as money managers retreat on bearish sentiment on oil prices,” Benjamin Lu of Singapore-based Phillip Futures said on Monday. Reuters technical commodity analyst Wang Tao said Brent and WTI would likely come under pressure soon, testing support at $70.62 per barrel and $64.83 per barrel respectively. “Disappointing industrial data out of China along with concerns over emerging market economies centered on Turkey weighed on commodities,” Edward Bell of Emirates NBD bank said in a note on Sunday. In the United States, U.S. energy companies last week kept the oil rig count unchanged at 869, according to the Baker Hughes energy services firm. “The recent softening in benchmark prices should temper the pace of growth in U.S. exploration and production activity, and lead to slower overall output growth,” Bell said. Outside the United States, traders said U.S. sanctions against Iran could soon impact prices. The U.S. government has introduced financial sanctions against Iran which, from November, will also target the country’s petroleum sector. 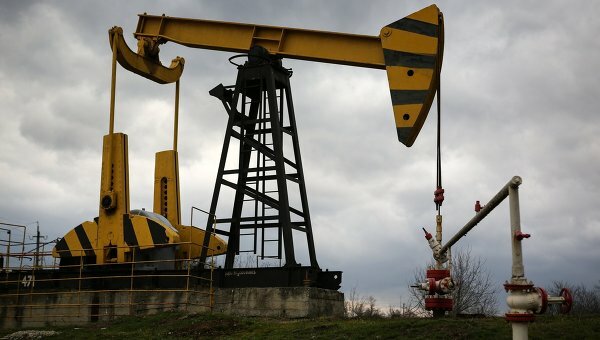 Iran produced around 3.65 million barrels per day of crude in July, according to a Reuters survey, making it the third biggest producer within the Organization of the Petroleum Exporting Countries (OPEC), behind Saudi Arabia and Iraq.